Disclosure: Although I received this product free of charge. My love of it 100% mine. 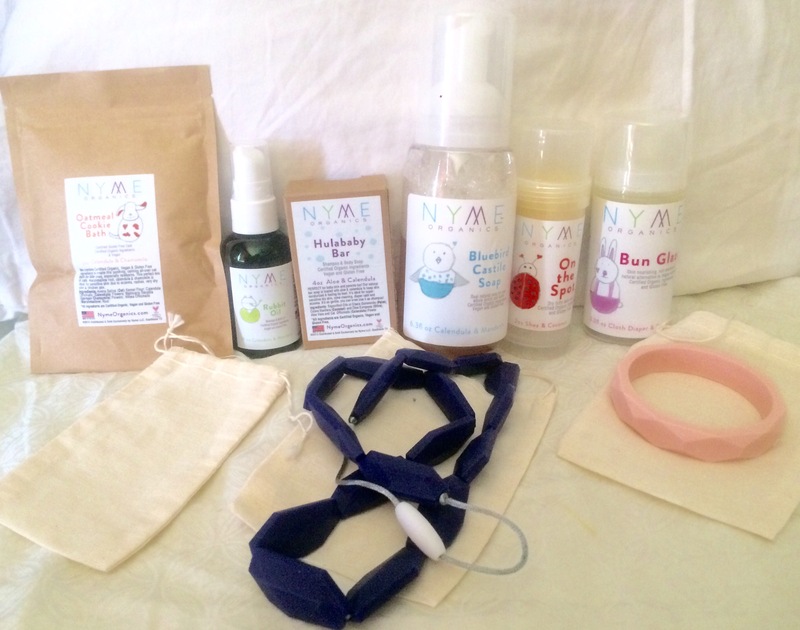 My newest contributor super mama Alex had a chance to try out the amazing NYME Organic Product Line with her gorgeous princess! Head below and check out what she thought of it! 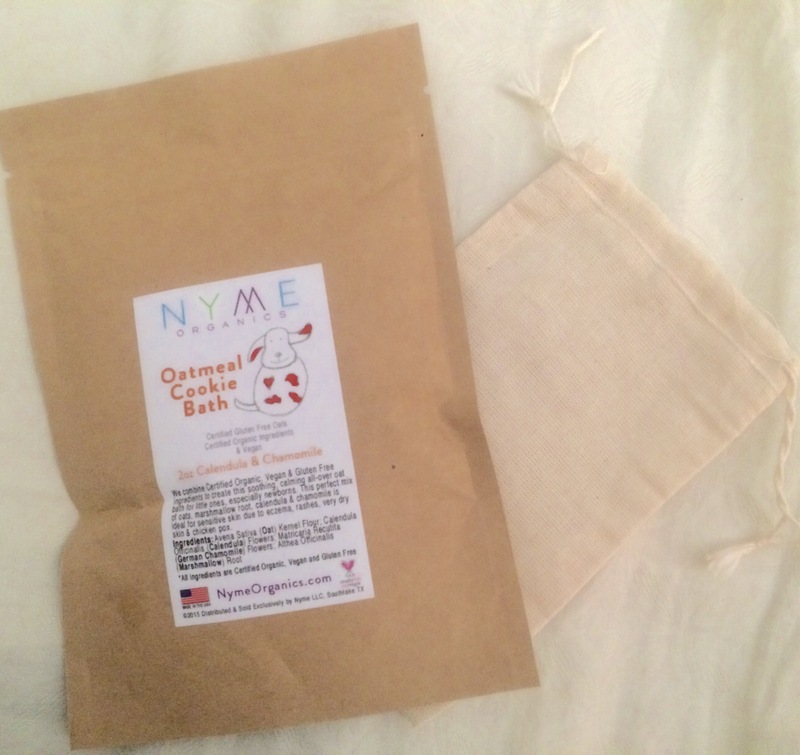 NYME Organics is a line of all-natural, organic, and gluten-free skin care and cleansing products that was created in 2010 by Lauren and Cameron Penn. All NYME Organics skincare products are formulated in-house, handmade with love and care, using the highest quality ingredients. I was given the opportunity to review several products from their bath and skincare line. Off the bat, I was super excited to try it out knowing their products are Certfied Organic, Gluten-Free, Vegan, Paleo, all-natural, contain no surfactants, and are free of toxic chemicals like Benzene, BPA, Chlorine, Formaldehyde, mineral oil, optical brighteners, parabens, petrolatum, and sulfur oxides. I have a three daughters, and a husband, with extremely sensitive skin. They have broken out with almost every bath and body product we have tried. 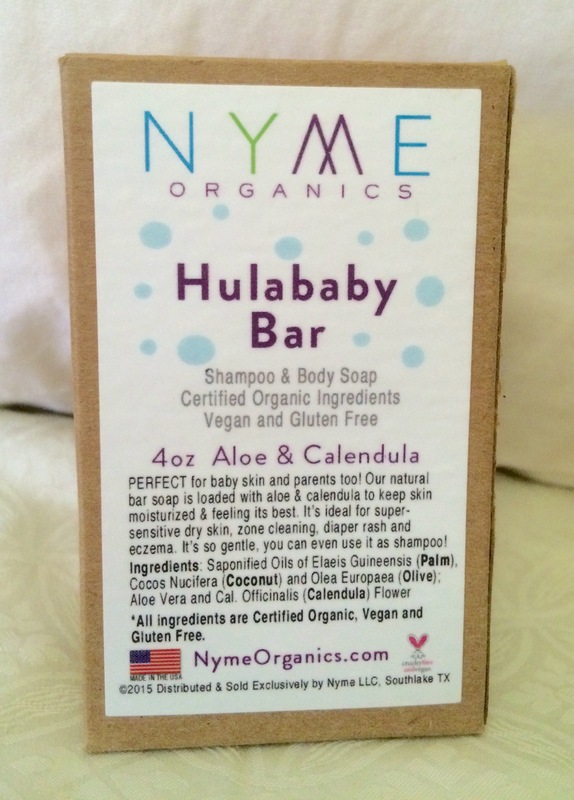 I used all of the products on my youngest, since she has the most delicate skin at three months old. 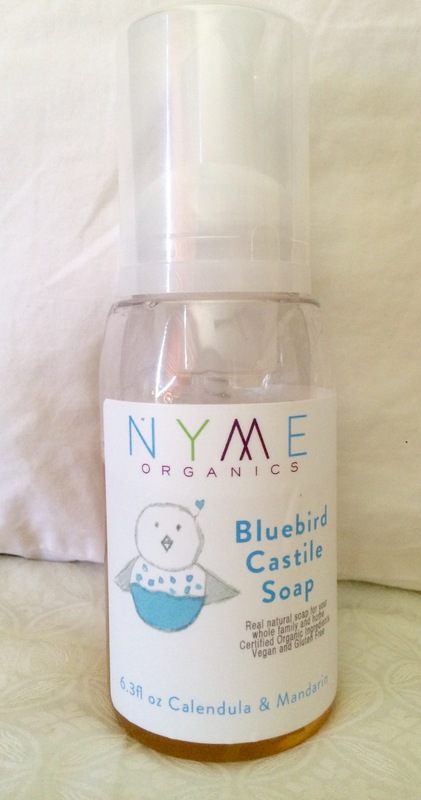 I started with the Bluebird Castile Soap. It’s a plant-based, multi-purpose soap that can be used for everything from bath, to laundry, to cleaning tile floors! It contains just seven all-natural, Certified Organic ingredients and no harsh surfactants. Most shampoos and body washes I have tried have left me feeling like she didn’t really get cleaned. With the Bluebird soap, her hair wasn’t greasy, her body was completely clean, and she didn’t have any skin irritation. Bluebird smells so clean! From the coconut, Olive, and Jojoba oils, and the Aloe Leaf, Rosemary Leaf Extract, Mandarin Essential Oil, and Calendula Flower Extract, it just has this unbelievably sweet, calming scent. My daughter enjoyed it. She didn’t fuss once in the bath! After her bath, I applied the Bun Glaze on her little bottom before I put her diaper on. 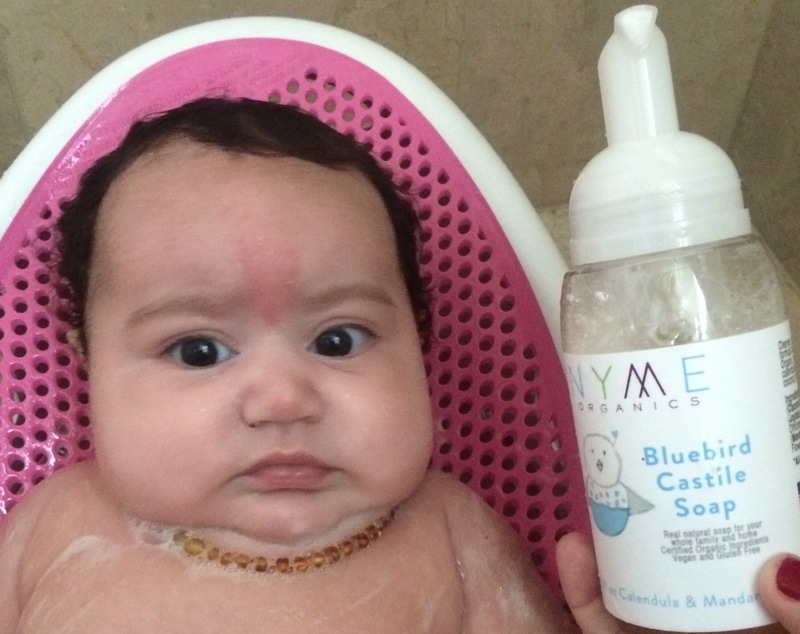 Bun Glaze is NYME Organics’ best-selling signature product, and is a non-medicated alternative to diaper rash cream. I cloth diaper my daughter, and what was a HUGE part in earning brownie points with me is that it’s cloth diaper safe! There was no residue left on the diaper at all. 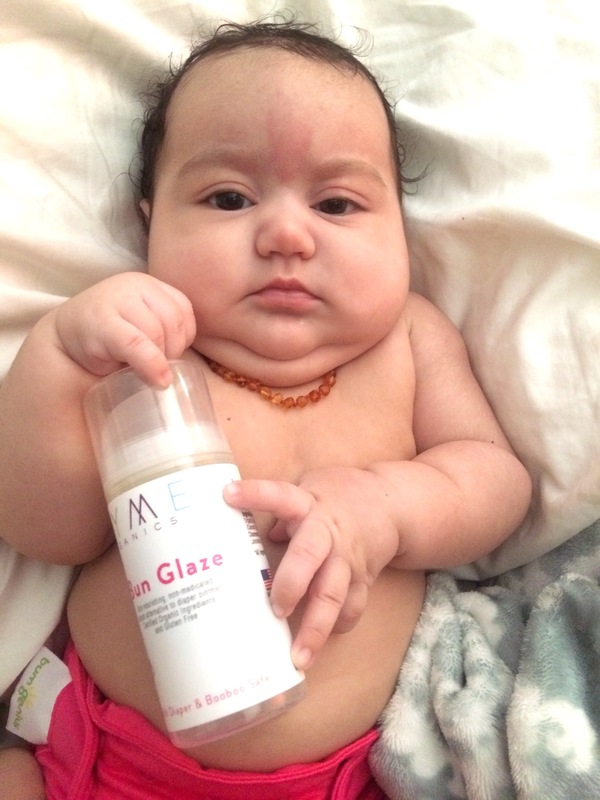 But don’t worry, Bun Glaze is so much more than just for diaper rashes. It can also be used for Eczema, bug bites, minor cuts and burns, chapped lips and chaffed skin, and dry, cracked heels! It would be a perfect addition to your home for the dry winter months coming up. Next was the Rubbit Oil. It is the ultimate lightweight massage and bath oil. It contains Extra Virgin Organic Olive Oil, Vitamins A, D, and E and the skin-healing flowers of Calendula to provide all-day moisture. The light Mandarin Blossoms scent leaves baby smelling so sweet and still so clean. The no-air pump helps make sure you don’t over pump, so you get exactly what you need. You can use it after a bath like I did, prior to bedtime for a relaxing massage, use it for dry cuticles, stretch marks, and also as a post-shave moisturizer. This was probably my favorite product. The smell wasn’t overpowering, the oil absorbed quickly and didn’t leave a greasy residue. And best of all, my daughter enjoyed her little full body massage, and her skin was the softest I had felt it be since birth. What made me love this product line was the fact that my entire family can use it. My husband has dry and sensitive skin, so finding products that don’t irritate his skin is just as daunting of a task. For him, I used On the Spot, which is a no-mess, multi-purpose balm that can be used for Eczema, dry patches, rashes, and chapped cheeks and lips. 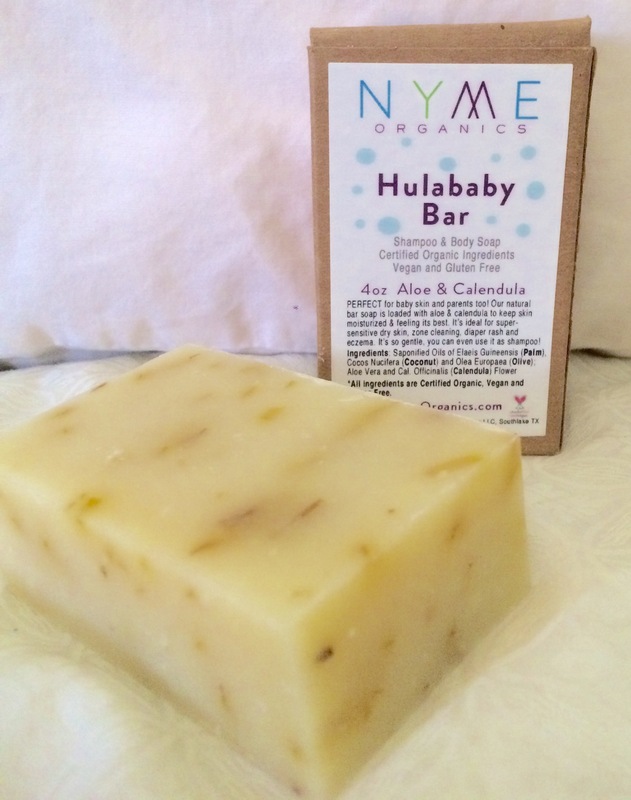 It contains Shea Butter, Coconut Oil, Beeswax, and Rosemary Leaf extract. His dry scalp hasn’t been an issue since we started using On the Spot, and it didn’t cause him to get red irritated bumps like the other products he has tried. Very grateful we found something that everyone can benefit from, especially with winter just around the corner, too. Seriously, this was the best soap I have EVER used! Hands down. I used it on myself, on my three daughters, my husband. Every single one of us has had soft, clean skin. There’s no super dry feeling that harsh soaps can leave behind, but it also doesn’t leave you feeling like you didn’t wash all the soap off. It can be used for sensitive, allergy-prone skin, like my husband, for dandruff, and even for camping since it’s safe for septic systems! It’s even so gentle, it can be used as a shampoo. My second favorite was the Oatmeal Cookie Bath. It contains Gluten-Free oats, marshmallow root, calendula and chamomile that is fine ground into a powder to create a calming, gentle cleanser that is guaranteed to not only leave your skin feeling rejuvenated and soft, but also leaves mama feeling relaxed and refreshed, which we know is so important! It comes with a reusable muslin drawstring bag that you can use to squeeze out as much of the Oatmeal Cookie Bath but also helps mama out with easy clean up (brilliant, I tell you!). It’s perfect for dry skin, diaper rashes, itchy pregnant bellies, insect bites and stings, sunburns, and chicken pox. You will definitely want to stock up on this gem for your household. All of the products I mentioned are also part of the Newborn Bundle, so if you are looking for a perfect baby shower gift, you have all of the essentials any new mommy would want and need for her little squish on the way. One of the most adorable items I received was the teething bracelet in the style “Gramercy”, and teething necklace in “Madison”. What new mommy doesn’t want to still feel stylish, but also be able to keep baby occupied and also helps with letting your baby be able to chew on it and relieve teething pain. Perfect for on the go and also at home when baby is being held and comforted. They are 100% FDA-approved food-grade silicone, and non-toxic, waterproof, heat-resistant, extra durable, and just need water to be cleaned. There is no doubt in my mind that NYME Organics will be a permanent staple on this household. Their “Care What They Wear” Promise means they make the safest products possible, make those safe products available for everyone, and are transparent- they tell you exactly what is in each product. Even their packaging is Eco-friendly. 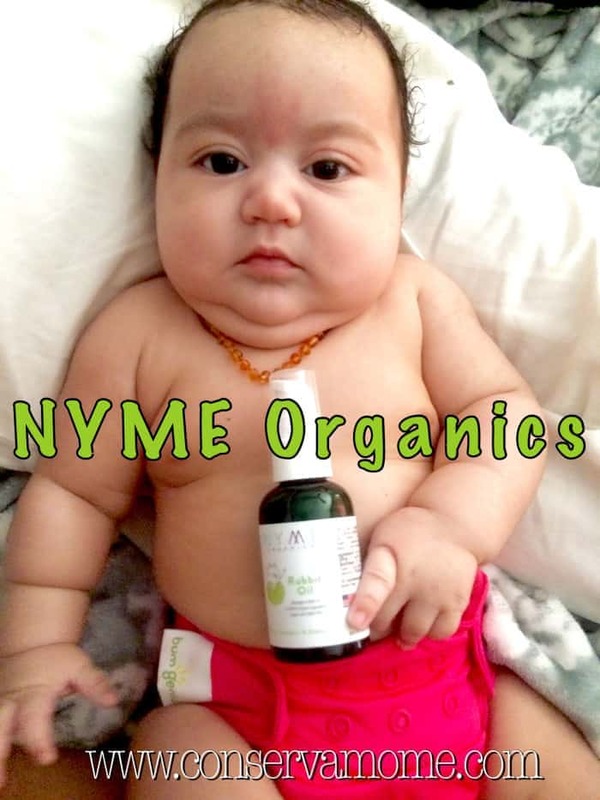 NYME Organics is definitely highly recommended from this mama of three! NYME Organics will also be debuting an organic clothing line in early 2016, which I am very excited about. So definitely mark your calendars, and keep an eye out for that! My middle son has an extreme case of eczema and I’m always looking for organic products that will work for him b/c I hate having to use steroids on him during an outbreak. Thanks for sharing, I’m looking forward to trying this out! I will let my sister know about this company and this post. My niece has eczema real bad and this may just help her. Your model is too cute!!! I am have a baby in January and I am going all organic. I am so excited to see all the new products, so thanks for sharing these!